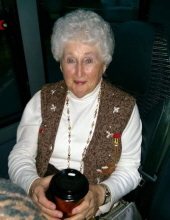 DURHAM – Annie Laura Carden Copley, 87, passed away on Saturday, April 13, 2019 at Hock Family Pavilion in Durham. She was born in Durham, the daughter of the late George Floyd Carden and Martha James Carden. In addition to her parents, Ms. Copley was also predeceased by her husband, Alton Lafayette Copley. Ms. Copley retired from Burlington Industries in 1995 and was a lifelong member of the Summit Church in Durham. Ms. Copley is survived by her daughters, Becky Fowler, Susan Copley Johnson; son, Tom Copley; grandchildren, Lisa Whitestone and husband Rob, Jonathan Strickland, Laney Copley; great-grandchildren, Justin Whitestone, Adam Whitestone; brother, Eddie Carden and wife Marie; and sister, Barbara Story and husband Mike. The family will receive friends from 6 to 8 p.m. on Monday, April 15th at Clements Funeral Home in Durham. A funeral service will be held at 11 a.m. on Tuesday, April 16th at Clements Funeral Chapel with Rev. Chris Gaynor officiating. Burial will follow in Little River Presbyterian Church Cemetery. The family would like to thank the Hematology and Oncology nurses and doctors at the Duke Cancer Center for their care and love towards their mother and family. To send flowers or a remembrance gift to the family of Annie Laura Carden Copley, please visit our Tribute Store. "Email Address" would like to share the life celebration of Annie Laura Carden Copley. Click on the "link" to go to share a favorite memory or leave a condolence message for the family.